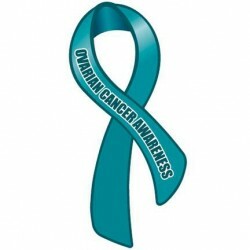 Ovarian cancer has been called a “silent killer” because of its high mortality and low cure rates. Understanding the molecular mechanisms that give rise to ovarian cancer could lead to earlier diagnosis and better treatments, but these mechanisms are largely unknown. Recent lines of evidence have implicated joint regulation of transcription factors (TFs) and microRNAs (miRNAs) during tumorigenesis. Now, Zhongming Zhao, Ph.D., Ingram Associate Professor of Cancer Research, and colleagues have applied bioinformatic algorithms to data from gene expression and molecular profiling of ovarian cancer to generate a framework for understanding how TFs and miRNAs co-regulate ovarian cancer candidate genes. They report in the December issue of Molecular BioSystems the identification of 67 ovarian cancer-specific “feed-forward loops” – a type of regulatory circuit in which TFs and miRNAs jointly target genes expressed in ovarian cancer. The investigators found that the circuits are mostly initiated by oncogenic genes rather than tumor suppressor genes. The central regulatory network includes genes involved in cell differentiation, cell cycle regulation and ovarian cancer-specific signaling pathways. This research was partially supported by National Institutes of Health grants LM011177, CA167695, CA068485, CA095103, by The Robert J. Kleberg, Jr. and Helen C. Kleberg Foundation and by Ingram Professorship funds.